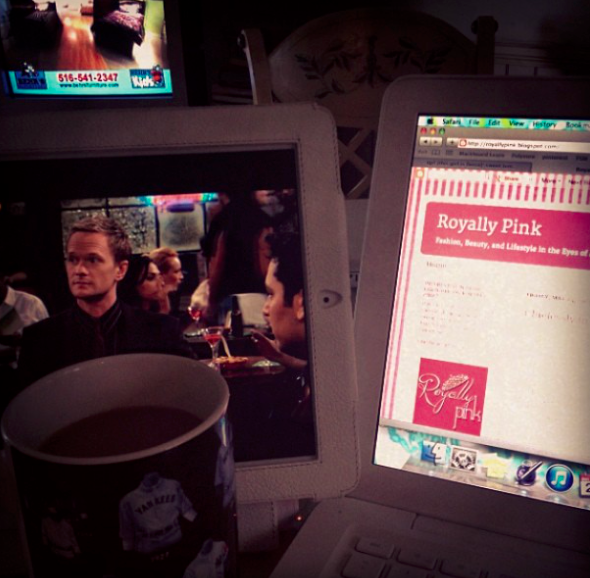 Today I celebrate 6 years of Royally Pink. This milestone is one I never thought I'd achieve because when I started this blog but one I am so excited to cross. I've always loved writing, it's always been my core hobby so to be able to create a place where I can write about whatever I want, whenever I want, and to have people read it is truly magical. 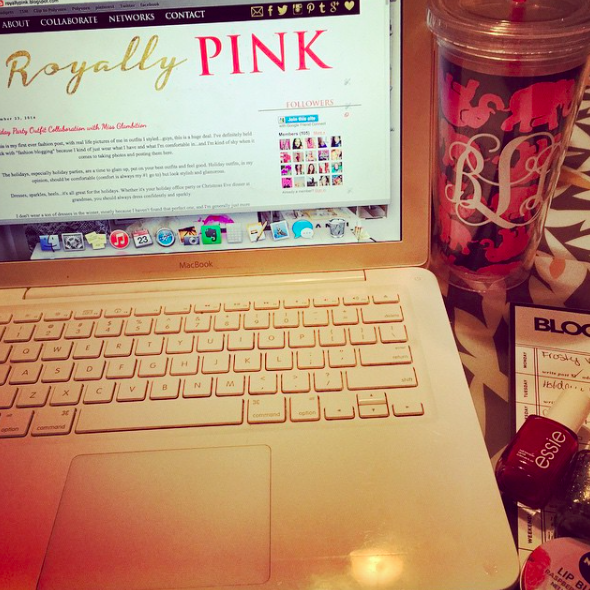 When I decided to start Royally Pink, it was just something to occupy my time. I had a lot to say and no one really to listen. I wanted to talk about career and fashion and beauty. I wanted an outlet to put my time and energy in. I started it in the summer of 2012 after seeing The College Prepster aka Carly the Prepster, and I thought "I could do this!" I was going after a Journalism degree and I figured it was good to start honing my writing skills and show people what I could do. 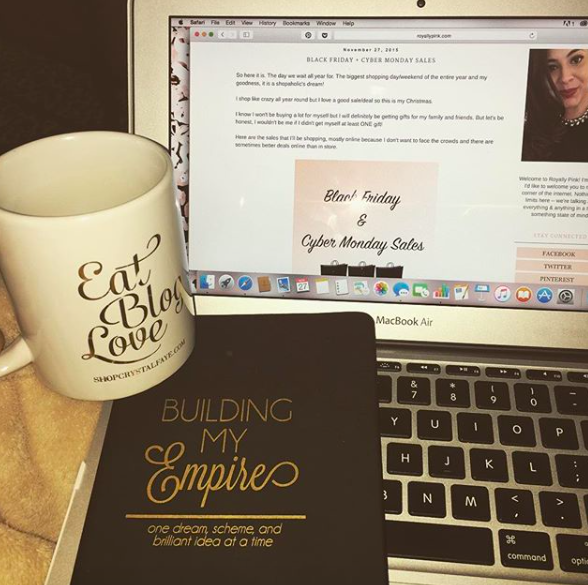 I definitely wasn't one of the first bloggers on the scene but I do feel like I got the jump on blogging before the social media boom. It was before Instagram, which says a lot and I think that's pretty cool. I don't know if I ever told the story but naming Royally Pink was very easy. I was sitting in bed, thinking of a name and honestly the first thing I thought of was "Royally Pink". I was deep in a royal family obsession (not much has changed there), I always wanted to be a princess and I loved everything pink. It made total sense at the time, and even now, it still sort of makes sense. Royally Pink is just about fun, it's girly and light (except when it's not). I've thought about changing the name but what else would I call it? Anything else just seems completely inauthentic to me at this point. In 2012, it was weird to start out but once I started, I couldn't stop. Everything was inspiring and I wanted to write about anything I saw. I didn't plan out my posts, I just kind of wrote on the fly. 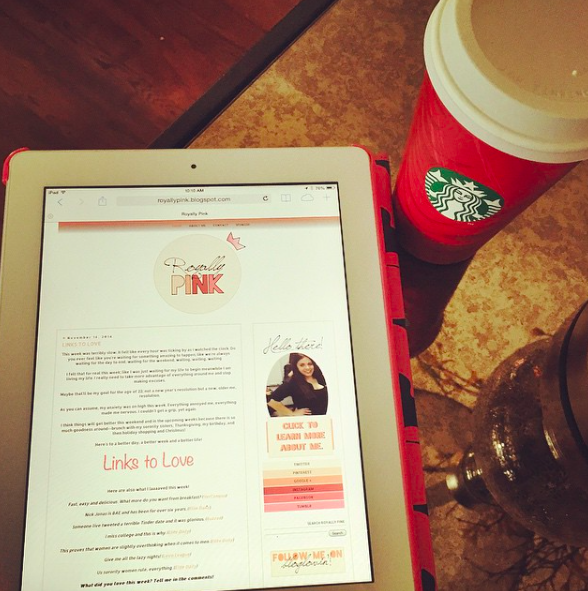 My layout was simple and I didn't really have a social strategy -- I just wrote and shared it. Back in the day, I used to blog 7 times a week and kept that up until my senior year of college where it was just too much. 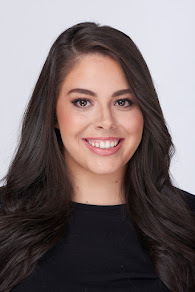 I joined some networks, connected with other bloggers, and really just hit the ground running. I took it seriously from the start. I loved what I was doing but I wanted it to be a reflection of me and what I was about. First and foremost, it was a showcase of my writing and sort of an experiment. I think this was the layout I had the longest, and probably loved the most. In turn, it became something I was fiercely passionate and protective about. For the first two years, I didn't really talk about it 'in real life'. It was my little secret yet, I'd share it on Facebook without a second thought and let people find out that way. It was very weird but it worked for me. My most recent layout (I think) before this one right now. I get bored easily if you couldn't tell! It's been a very long 6 years and I'm very proud of everything I've published. There have been a few missteps along the way but I stand by every word on my little corner of the Internet. Since those hot summer days, I've grown my social followings, understand best practices for most blog related stuff, developed consistent content series, figured out how I like to plan, have done countless sponsored posts, ended up on a few PR lists, and attended a few too many conferences. All those years ago, as a shy little college junior with big hopes of journalism in front of her, I didn't think I'd still be here with my little piece of the Internet, writing her heart out. This blog has been there for me through everything: senior year, graduation, my first job(s), my dad's death, my anxiety journey, and so much more. Most importantly, all of you have been there. I always like when I discover a new reader or see the pageviews tick up -- it means that someone out there likes what I'm doing. I don't know what the next level of this blog is. Would I love to work on it full time? Of course but I don't know if that's ever going to be in the cards for me. I do know that I want to keep doing what I'm doing, keep writing content I enjoy writing and you enjoy reading, and just staying really true to who I am and what Royally Pink has always been. 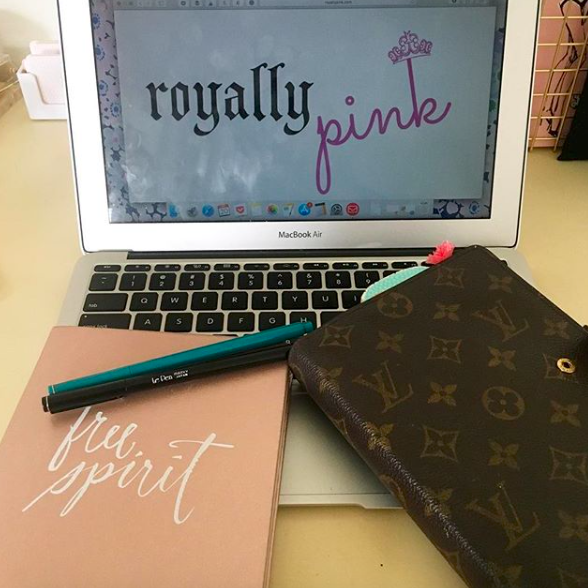 To me, Royally Pink has always been very girly, fun, interesting, and real. I don't shy away from a lot and if I do, it's for good reason. 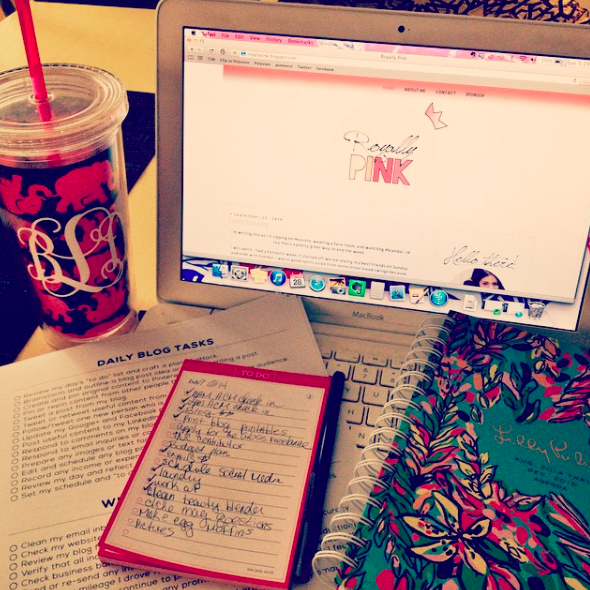 6 years later, from college to now, I thank you all for being part of Royally Pink. Cheers to another 6 years!